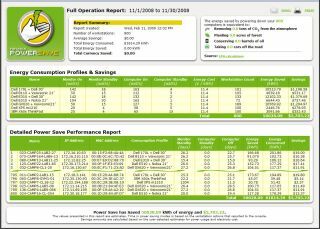 Faronics Power Save is a utility that is installed on computers so users can determine its power usage then adjust the device for maximum power savings and maximum availability. The product is installed directly on the hard drive of the computer and the computer is used as normal. Pros: Power Save can reduce power costs by enough that in four months it pays for itself. Many utility companies offer grants for products like this, which would make it basically free to schools. It does not affect the performance of the computer. Cons: Because the Console (administrator) on Power Save has three separate installs, it can take up quite a large amount of space on older hard drives (160 mb or less). The zipped install file is 90mb plus .NET 3.5 and SQL components. However, Power Save on the workstations do not need these components, and only occupy 25mb of hard drive space. Overall evaluation: Power Save is one of those products that allows us to bring hidden dollars back to education. It has the potential to save schools tens of thousands of dollars each year in electrical cost. These dollars can then be used elsewhere in the budget.